Asakusa is the most popular sightseeing spot where foreign tourist think of first. The representative sightseeing spot in Asakusa - Senso temple is the oldest temple that has 1400-year-history. But we can enjoy amusement called Karaoke in this Japanese good old area. In this article, we will introduce Karaoke-kan Asakusa Kokusai Street. 「karaoke-Kan Asakusa Kokusai Street」is very the Karaoke shop that has microphone in the shape of skull, and we can enjoy singing with that microphone in the first class room. In the VIP room, we can enjoy really classy atmosphere. Moreover, there are online darts room and party room as well. If you make a membership, you can get the discount for 25%. So all-you-can-sing and drink course is only for 1000 yen for membership. It is very affordable. Though they open little late time than usual Karaoke shop, but it opens until tomorrow morning. It means we can enjoy Karaoke overnight. This Karaoke shop is accessibly located only 1 min away from Tsukuba Express Asakusa Station. Quite recommendable Karaoke shop for foreign tourists. Karaoke box stands for the room that especially used for Karaoke. In Japan, we enjoy Karaoke mostly in Karaoke box. We can enjoy Japanese anime song, pops, and any other kinds of music. There is points system of singing skill that is enjoyable for everyone. But bringing in some food and drink from outside is prohibited in almost all Karaoke box. If you could keep the rules, even foreign tourist could fully enjoy Karaoke. Asakuas has 1400 year history. Asakusa started really to flourish about 400 years ago. At the time, there were just many rice storages in Asakusa, but it has been gradually changing to lively downtown that has many cultures. About a hundred years ago, the railway and subway were installed, then more people have come to gather. Once attacked by world war 70 years ago, but it has soon revived. If you want to enjoy Asakusa gourmet, Dorayaki that has sweet An and Satsumaimo put between 2 slices of castella. And if you want to try Dorayaki, we recommend you to try it at Kameju. You can try both white and black Dorayaki there. During the bar-hopping tour in Asakusa, you can enjoy Asakusa gourmet and beer in 3 different Izakayas. First, you will try Okonomiyaki that is plate dishes made from flour and water, second, you will try Japanese hoppy that is kind of beer. Why do you become sleepy when you drink alcoholic beverage? I’ll explain you about the relationship between alcohol and sleep. 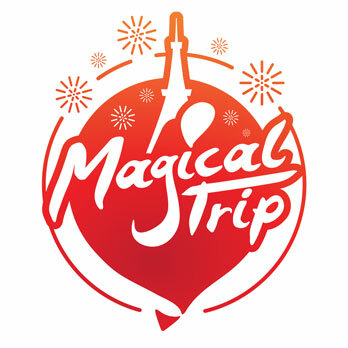 Our mission is to help travelers discover the nightlife of Japan and to have a enjoyable trip.